One of the most important aspects of building your new computer, is your case. You have to pick one that looks good, doesn’t take up a big part of your budget, has enough room for cooling devices and of course all your components have to fit in. 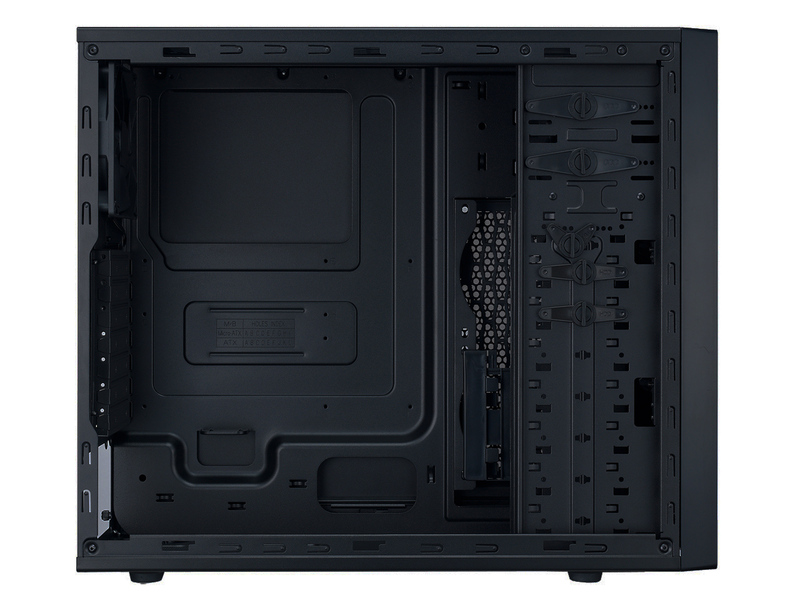 Thanks to Cooler Master we can present you with our first case review, the N400 – KKN1. Looking at the outside of the case, the design looks nice but not as fancy as the more expensive cases, because the N400 is low budget case. It is a black colored mid tower, both inside and outside are colored black which is a nice touch, manufactured from the material polymer with a full mesh front. This front gives the design that something extra, and is very useful to install a front fan. All very useful, much used connections are put on the front panel, so you do not have to crawl behind your computer every time you want to connect a device. This save you time and an aching back. The case comes with 2 pre-installed XtraFlo fans, one in the front and one in the back to improve the air flow. In the KKN1 model the fan in the front comes with white LED and the option to turn the LED on and off. The one in the back has no LED available. In total this case supports up to 8 fans to cool your system, which is quite a lot. Next to all this air cooling, you also have the option to install liquid cooling, which is a nice addition if you’re building a high end gaming PC. With all these fans, of course the PC will attract a lot of dust. Therefor Cooler Master has installed 3 dust filters, they are removable for easy maintenance which is quite handy. You’ll find them at the top, the right side and at the bottom, in other words at the places which attract the most dust. So many fans, will there be some spare room for other components? Off course! Not all cases can say this, but the N400 can house graphical cards up to 320mm (12.6 inch). This means every card on the market right now will fit, so no cutbacks on your graphical card. There is also support for 3 SSDs, 2 on the tool-less 2.5” cage, 1 at the bottom of HDD cage which is a nice addition as these SSD’s significantly reduces your loading times, either while playing games, starting up your programs or booting your PC. This case has a high potential for such a low price. Certainly if you’re building a high end PC on a budget. You don’t have to worry about the size of your components, which sometimes can be very frustrating. You finally found a case you like and then your favorite graphical card doesn’t fit. Then you are forced to choose either another case or another graphical card. Most of the time this means settling for another less fancy case or a less good graphical card, which can be a bit depressing. To be honest, if you’re building your own computer, it will probably be one that is destined to play games. This creates another compelling argument, the weight of the case. The N400 weighs 5.6 kg (12.3 lbs). This means your computer will not be too heavy to take with you to go play at a friend’s place or to go to a LAN-party. 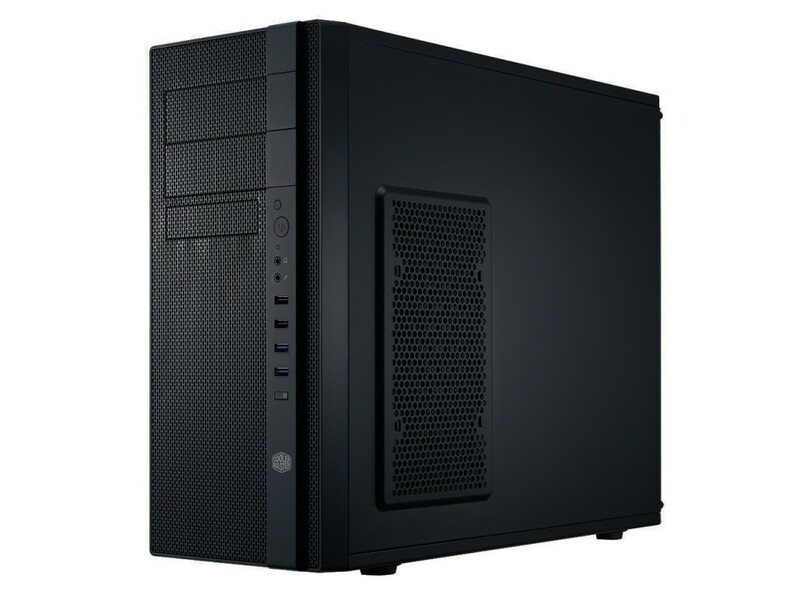 The Cooler Master N400 – KKN1 model seems like the perfect low budget case. It’s a fit for everyone’s budget. This mid tower offers you a lot of options to build a computer. With up to 8 fans and the possibility for liquid cooling you’ll never have to be afraid your system will overheat. 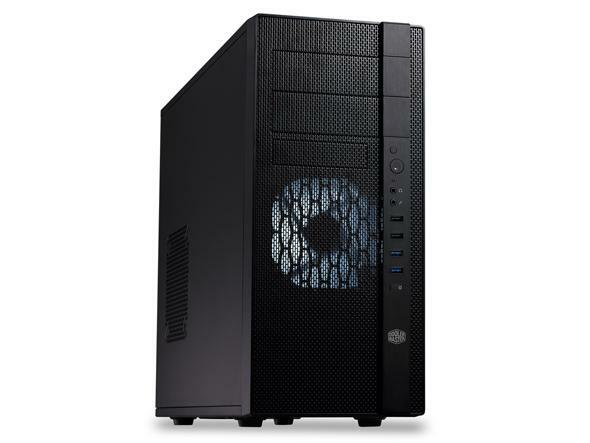 With the N400, Cooler Master may have delivered us the best quality case in its price range. So if you’re looking for a new case, be sure to take this one into consideration.